7 boat pits have been identified around the Great Pyramid. 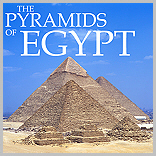 Five of which belong to the Great Pyramid proper. The other 2 are associated with the pyramid of Hetepheres (GIa) and the pyramid of the Ka (GId). Khufu's boat pits are located on the eastern side of the pyramid (3) and the southern side (2). In one of the southern boat pits a disassembled wooden barge was discovered in 1954. It has been reconstructed and resides in the boat shaped museum. 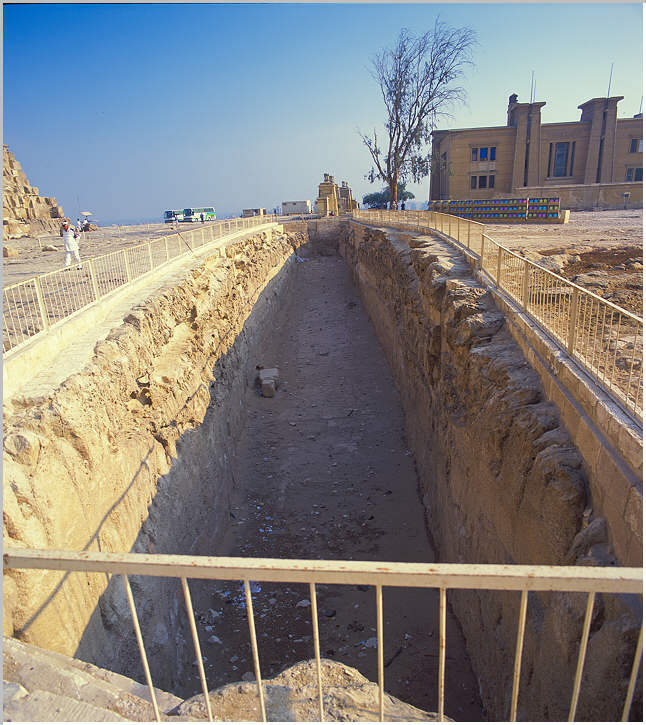 Boat pit of the pyramid of the Ka (GId) viewed from the west. 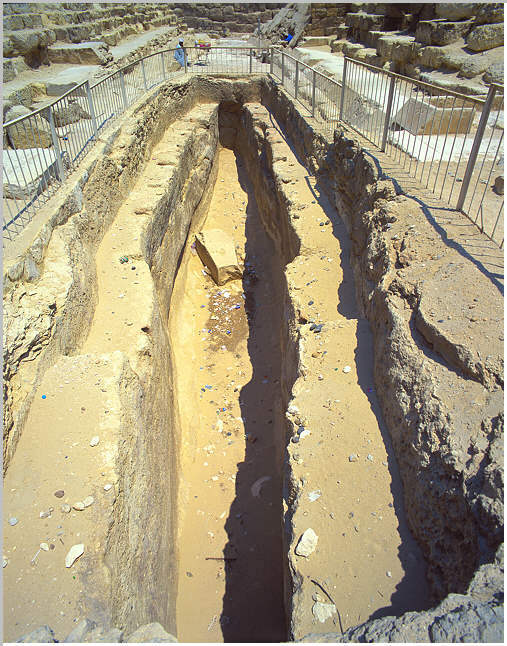 The boat pit of the Pyramid of the Ka lies between GIb and GIc.